Tequila, when done right, rocks the shot world, creates amazing margaritas, and endless other drink options, so I want my Tequila done right! Which tequila do you choose from the plethora of choices on a store shelf? Take a look at this game, it looks like a ton of fun right? But what Tequila are you going to put into those glasses? Will it have a bad taste on the way down? Will you find a worm at the bottom of your bottle? I love a great Margarita and I find that so many of our friends and family do as well. Margaritas are not a ‘chic’ drink but a drink that is ‘chic’. Depending on the Tequila you use you can make or break the drink. Tequila should linger on the palate not quickly fade it should have a good finish and Partida Blanco has a perfect balance! Remember to never inhale on the way down or it will burn! There are a lot of tequila’s on the market and they are all vying for your purchase and we just tried one that absolutely makes a smashing margarita! Partida Blanco Tequila. I have 2 drinks that I love: Merlot & A good Margarita(these are hard to come by). With our happy hours and entertaining engagements, I have been including Maragritas, but not just any Margaritas, these were created with Top-Rated Partida Tequila(Blanco). We crushed the ice, added the Partida Agave Nectar, Lime Juice and Water and let the fun begin. I had to adjust my lime a bit and I added less water(just my personal taste). I also used a not-so wide-mouthed margarita glass, which meant I had to adjust how much Margarita I was going to enjoy. Talk about a Margarita on the Rockin’ side of fun! Yum. The difference maker in this case was the Tequila. We have tried so many Tequilas to get these drinks right and while each one is unique not one has come close to the authentic Margarita taste I enjoyed that evening! 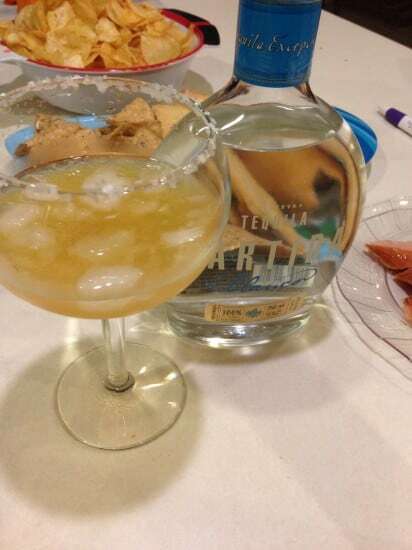 The Partida Blanco Tequila has a soft floral aroma, and it is a citrus blend which makes it perfect for the Margaritas that I enjoyed that evening. It does linger on your palate which is a good thing because a Tequila that disappears after reaching your tongue is made with marginal ingredients. This is a high quality spirit which will leave you satisfied and tastefully fulfilled! You will be able to taste your tequila but not be overwhelmed by it. It does have a great finish. Your margarita will thank you and so will your guests. The agave is baked, then shredded. Partida provides a 36-40 hour fermenting process for the agave juices which creates a high quality raw spirit. The fermentation tanks are then ready to be distilled, and there are very precise temperatures controls and it is distilled 2x. Partida Blanco is bottled directly INTO the bottle, filled by hand. Are you ready to lavishly spice up your Margaritas and Tequila shots? This is one of many we have tested, prepared recipes with and have found acceptable. Lavishly live those celebrations out loud! The information on DanaVento.com is provided for informational purposes only. It is not intended to be substituted for the advice provided by your doctor or other health care professional. If you rely upon any programs or techniques, or use any of the products and services made available by or through the use of our website for decision making, without obtaining the advice of a physician or other health care professional, you do so at your own risk. Some of the links in the article may be affiliate links. What this means is if you click on the links and then make a purchase from the website, I may receive some type of compensation or service. Drinking is done at your own risk as is purchasing. The nutritional and other information on our website is not intended to be, and does not constitute health care or medical advice. Don’t drink and drive and drinking is not for those under age. Remember drink responsibly, and Dana is not recommending drinking, just if you are choosing a beverage take a look at this as a possible consideration for purchase. This in no way lends the idea to drink or drink and drive!